Are you staying in Waikiki at the Kahala Hotel, or coming off a cruise ship, and need round trip transportation? 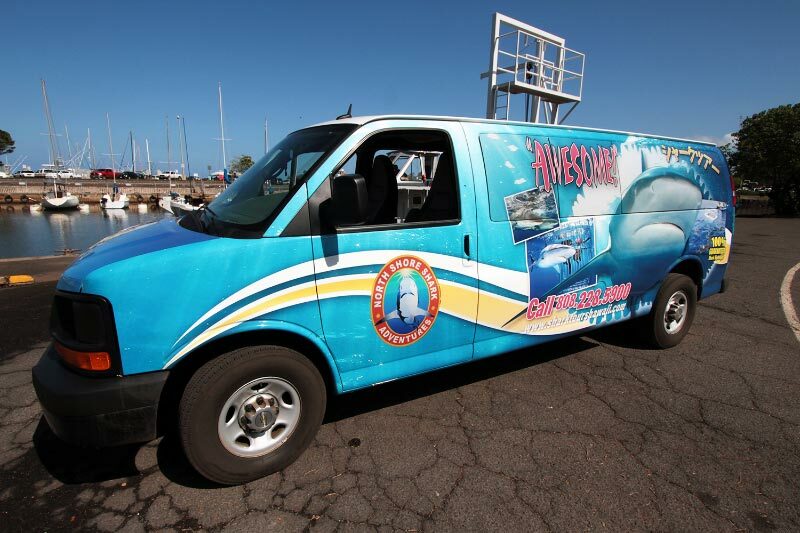 Let us do all the driving for you and book online or call us at 808-228-5900 any day between 6 am and 6 pm Hawaii time to add round trip transportation at only $55 + tax per seat taken on our shark van. Infants 2 and under are free. Even then, please notify us of the infant since we still need to account for them as a passenger on the boat. Keep in mind, we charge for each car seat that takes a space on the vehicle. Our pickup service is available daily for our 7 am, 9 am, 11 am, and 1 pm tours. Pickup times are 5:30 am, 7:15 am (7:30 Sat, Sun), 9:45 am, and 1:45 pm and are either at your hotel or within a short walking distance. 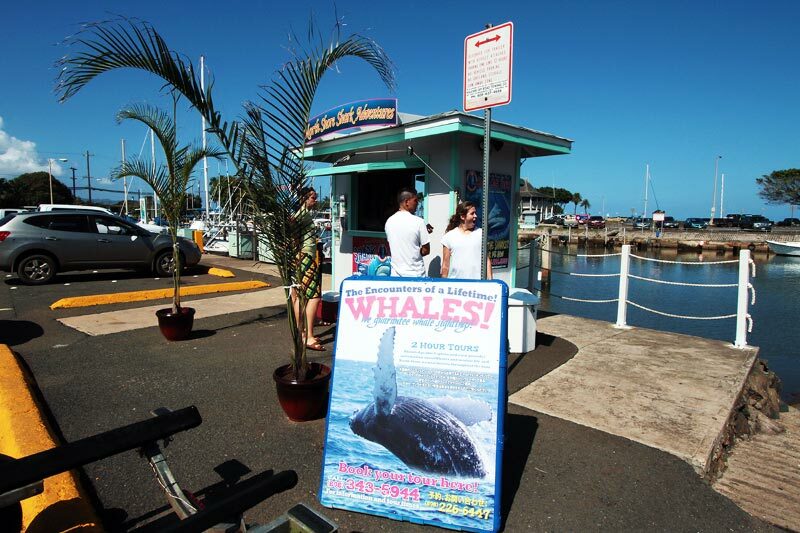 Cruise ship passengers who purchase our transportation option must book either our 11 am or 1 pm tours. Pickup times are 9:45 am and 11:45 am. Your ship disembarkation process does not allow you time for our earlier tours unless you drive out. If your accommodations are not in Waikiki, not near the Kahala Hotel, or if you’re not coming from a cruise ship, you’ll need to arrange third-party transportation. Please keep in mind in the case where we cancel a tour we will not refund the costs you may incur in securing your third-party transportation. Pickup locations are centralized and will either be at or within a short walking distance of your hotel. We reserve the right to adjust pickup locations as needed.